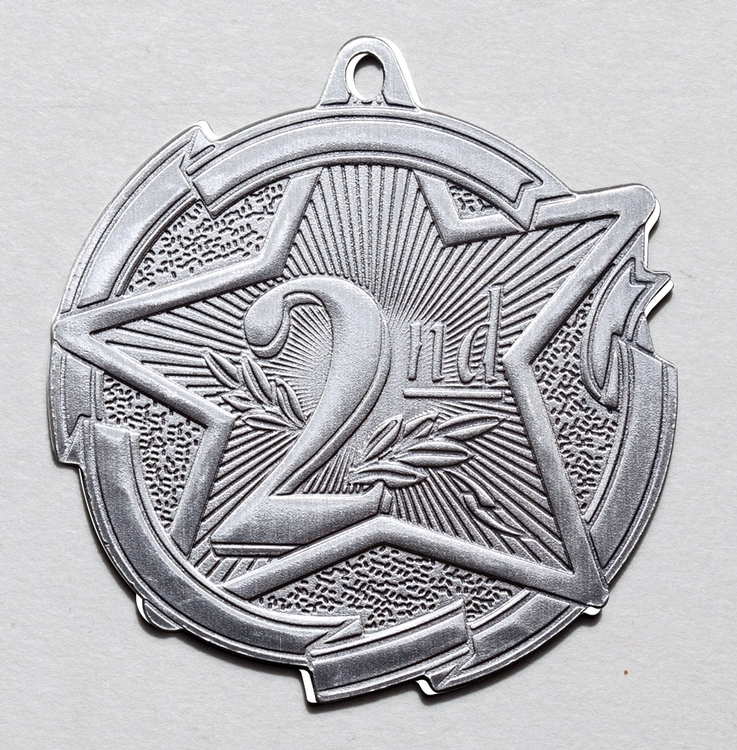 2nd Place Star Medal 2-3/8"
2nd Place Star Medal. Available in Gold, Silver or Bronze. Cannot be combined for a quantity discount. An engraved or full color insert can be added to the back. Minimum of 10 for full color inserts. Inserts are not included in the base price. See options for upcharge.